Planning to grow a beard but need some tips before you start? In this article, you will find some handy tips that will help you in the journey of growing your beard. 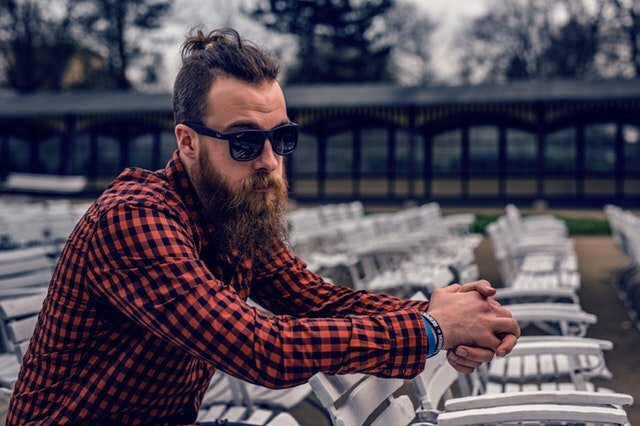 It is common for many men to lose patience easily when growing a beard due to reasons such as hassle of maintenance, beard itch or simply lack of patience. As a result, they end up cutting their beard. However, having some patience and following useful tips can go a long way. More efforts are required to get that awesome man beard you’ve always wanted. Follow these tips to have a great looking beard. You should take care of your skin and use men’s scrub to remove dead skin cells and stimulate hair growth. Further, you should also keep your skin clean by washing it regularly with warm water and a men cleanser at least two times a day. A healthy and clear skin supports small hair growth. Checkout Men’s Skin Care Products online. Make it a habit to regularly use moisturiser to provide enough moisture to your facial skin. Dry skin is not good if you are planning to get more facial hair. Start using a good quality men’s cream or moisturiser twice a day in winters or once a day in summer. Use oil free cream if your skin is very oily, this will help you grow a beard fast. Beard oils and balms are specially designed to help men with their beard growth. Use a beard oil to soften up your glistening beard for a bit of shine and to keep the skin underneath moisturised. You might also notice just how quick it grows as well! Checkout Beard Products Australia page at Bearded Dragon Grooming Store. It takes around a month or so to have a full-grown beard and may take a little longer for some men. You should resist the urge to over shape it and over trim it in the early days until you can fully see what you have got going on. Once you have a full grown beard then feel free to go for trimming and styling of your beard. Checkout our other blogs for beard grooming and style guides. Also, follow us on our social media to stay updated with our tips, and OFFERS in beard grooming products.